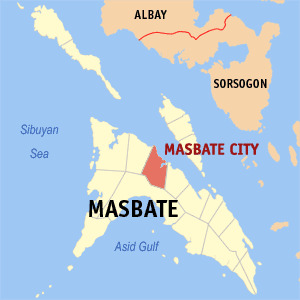 MASBATE CITY-As the Christmas season draws near, Masbate police once again cautioned the public against counterfeit bills. This is after it received a complaint against a suspect who allegedly used fake bills to pay for her food and drinks in a videoke bar. Police identified the suspect as Kim Malasarte a.k.a. Kalintogas, a resident of Brgy. Bagumbayan, Masbate City. Investigation disclosed that the suspect first engaged in a drinking session inside the SK Videoke bar. As payment for her order, she paid two pieces of one thousand peso bills. Later, when the videoke bar ran out of liquor, the suspect gave another one thousand peso bill to their helper Aileen Francisco and requested her to purchase liquor at the adjacent establishment, the Danielas Videoke Bar. At about 10:00 AM, however, when the employees of the video bar were preparing their money for deposit,they discovered that the bills paid to them by the suspect were fake. This prompted the cashier and owner of SK Video Bar to file a report at the Masbate CPS. At the moment, the Masbate CPS are already in possession of the three pieces of one thousand peso bills which all bear serial number BW217057. The are now being examined at Masbate PPO Crime Laboratory Office. Upon further investigation, police have uncovered that the suspect is already facing a separate case for Estafa, with the use of Counterfeit Money, which was docketed under NPS V-04-INV-14J-01472 and V-04-INV-14J-01473 at Masbate City Prosecutors Office.